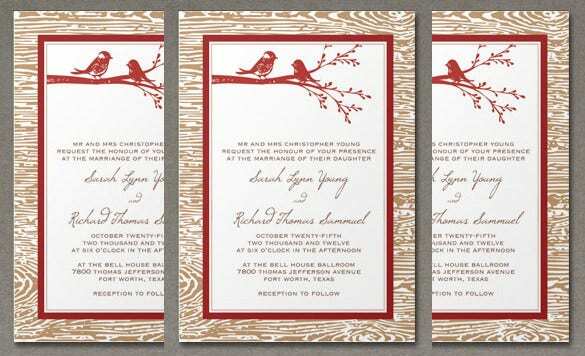 You cannot afford to let your wedding invitation be anything with even a speck of a problem. 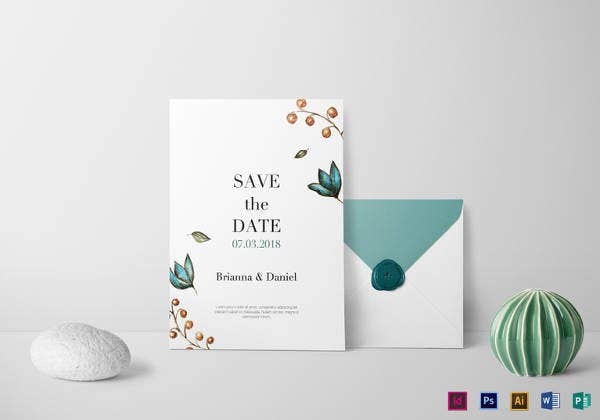 The digital design world is filled with hundreds of amazing wedding invitation design templates.However, you can find yourself struggling with inflexible templates if you don’t pick the right one. 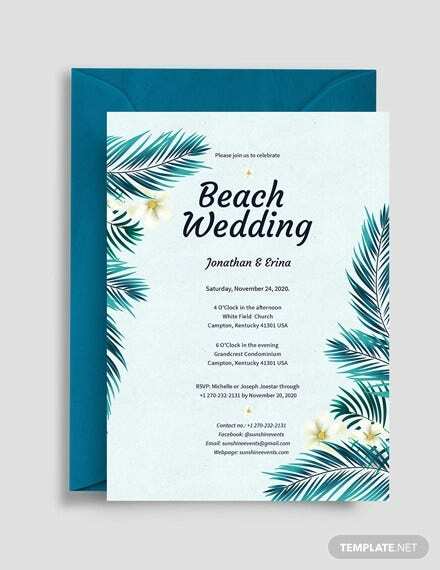 Here is a list of more than 25 wedding invitation design templates that bring to you the best from the world of design and art.You can also visit Beach Wedding Invitation Template. 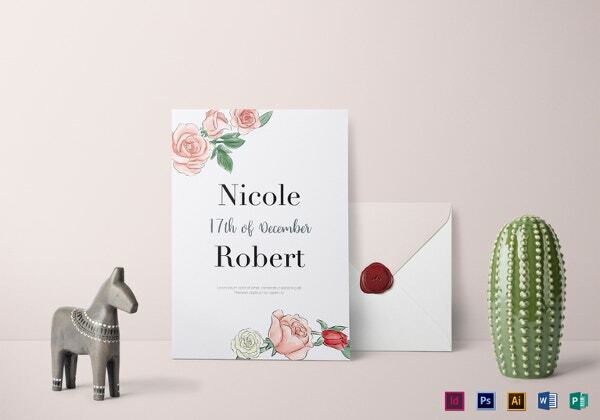 With colors tones that express purity and affection, and well planned spaces that help you include gripping textual content to make the invitation strike a chord with the readers.These templates are the best of the lot. 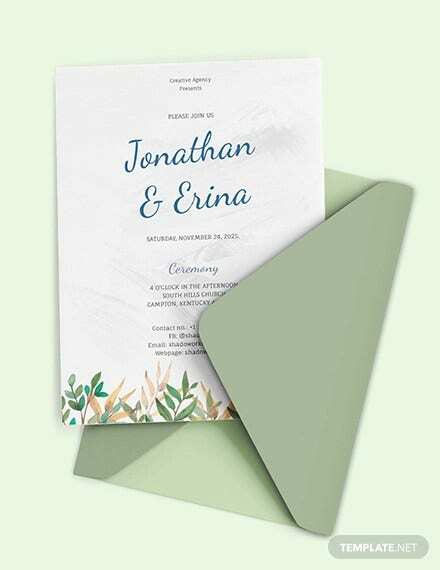 Moreover, you will be able to print these Wedding Template in different sizes. 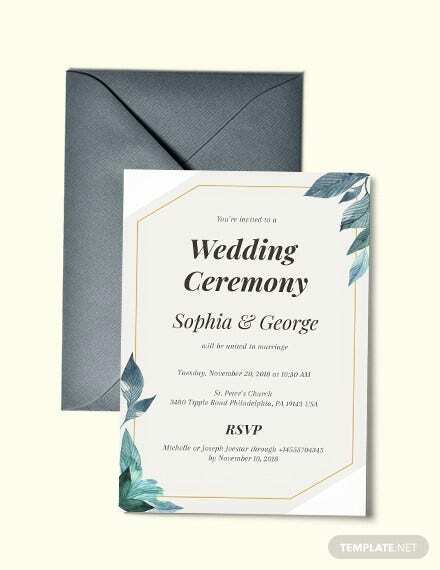 Use the images that please you the most, pick colors that match with the wedding theme, use your creativity to include text at the right places and in the right quantity, and you will have an invitation that everybody would love to read over and over. 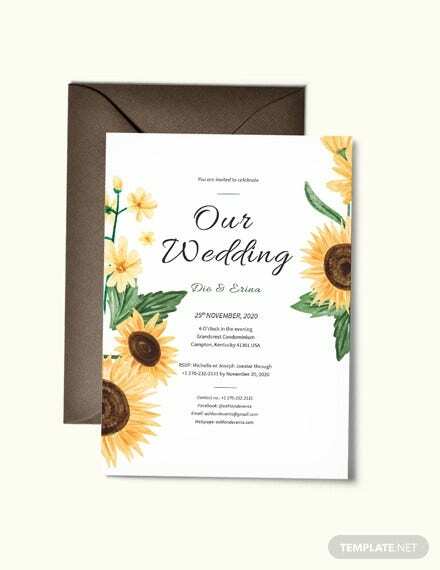 This Rustic wedding invitation template features a data card which comes in handy for the professionals and designers alike. Colors can be seamlessly selected whereas the print ready interface surely packs a punch. 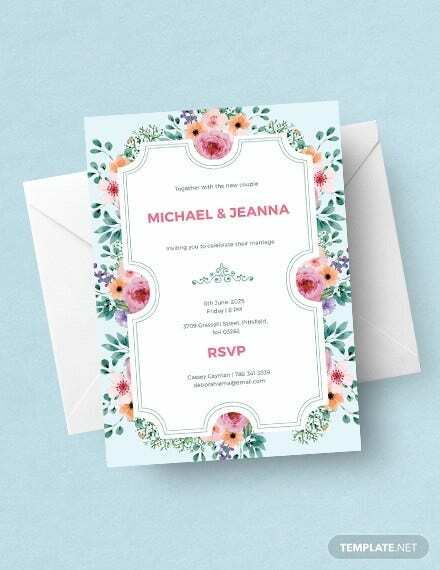 This lace wedding invitation template is an exciting addition which features selective colors and a print ready interface. 20 modes of personalization are available besides the Matte finish and a completely layered approach. 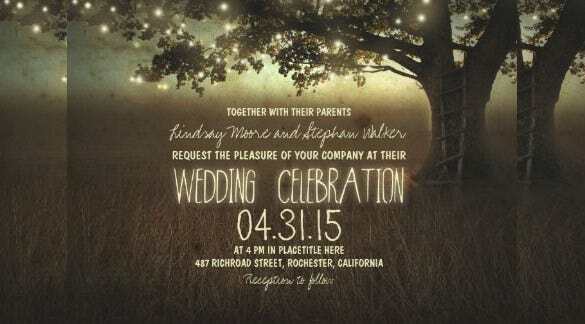 Get this template into the picture for layered PSD files and Fire red invitations. 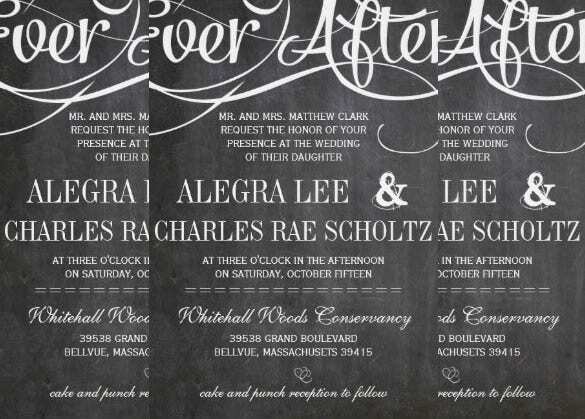 Fully editable texts are also available in addition to the varying bleed margins and chalkboard invitations. This is one template which features multiple designs and frameworks for the professionals to make use of. 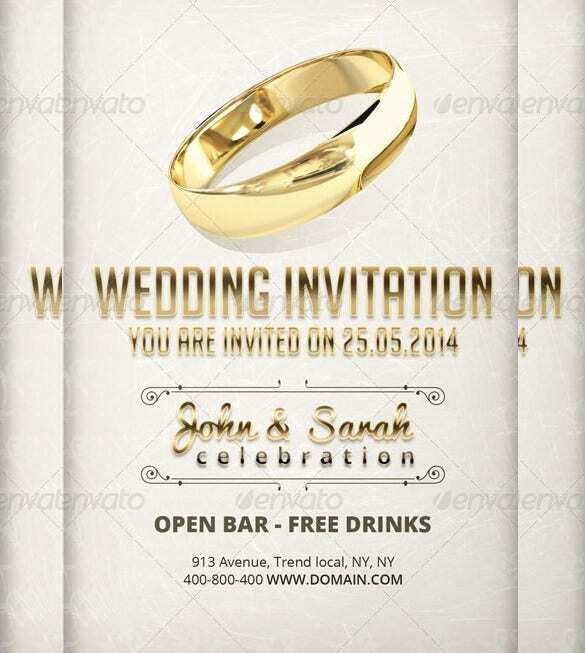 PSD files are included in addition to the changeable color schemes and textual based support. 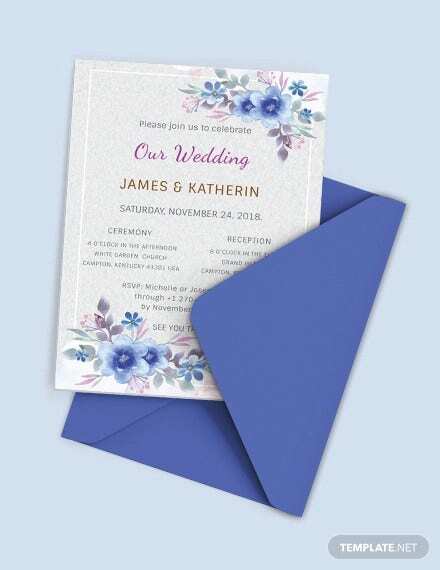 You may also check out Wedding Card Templates. 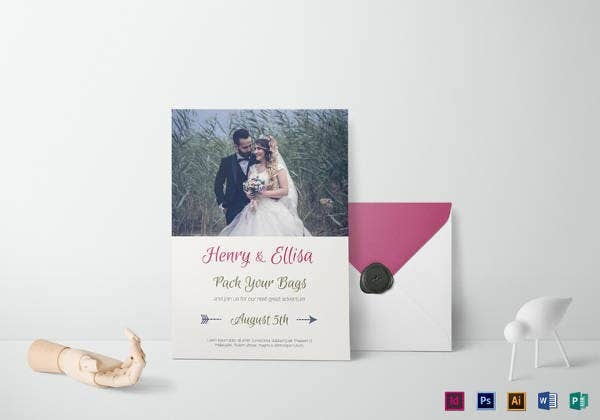 PSD files are included with this template which comes across with several custom posts and innovative color combinations. Most of the files are well-organized besides the CMYK compatibility surely packs a punch. 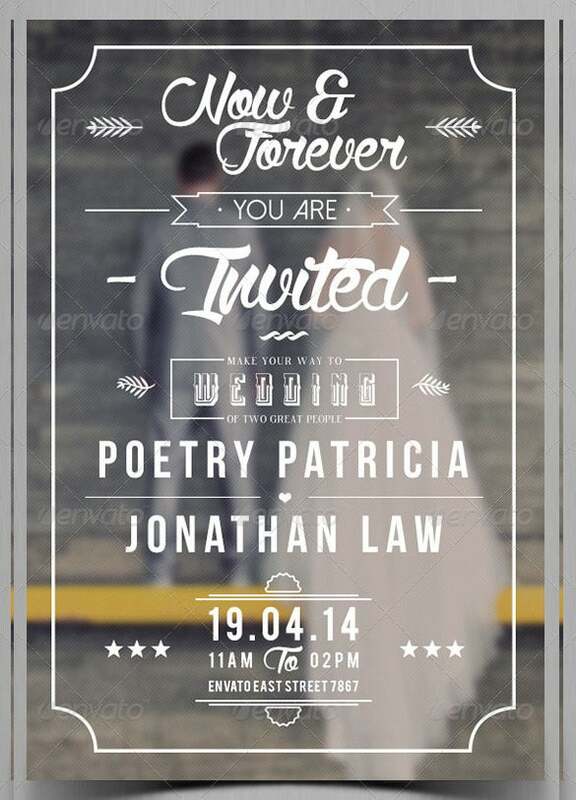 You may also see Free Printable Wedding Invitations. 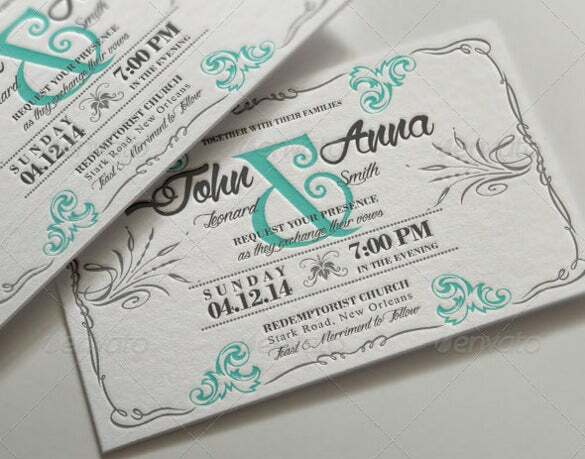 This template provides an innovative design which can be well teamed up with the mad lib textures and color schemes. 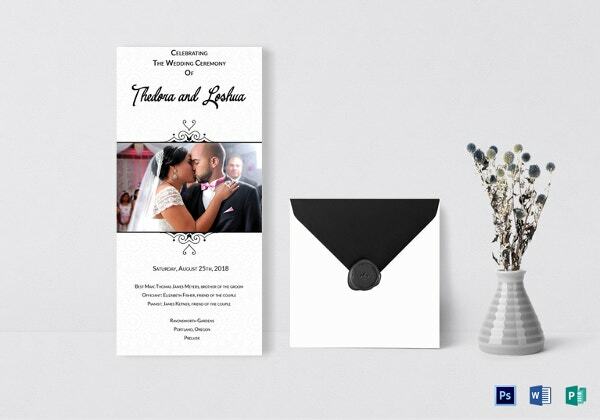 Wedding combinations are checked out whereas the print ready interface comes in as a handy option. 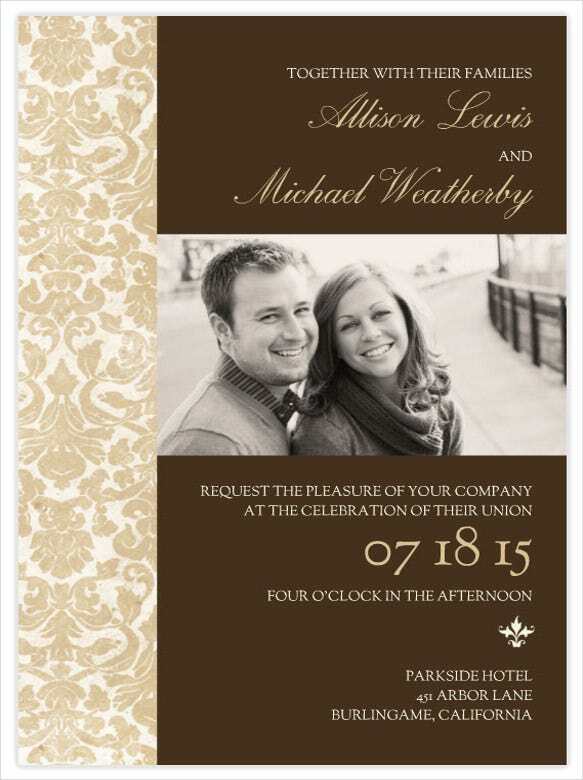 You may also check out Wedding Invitation Examples. 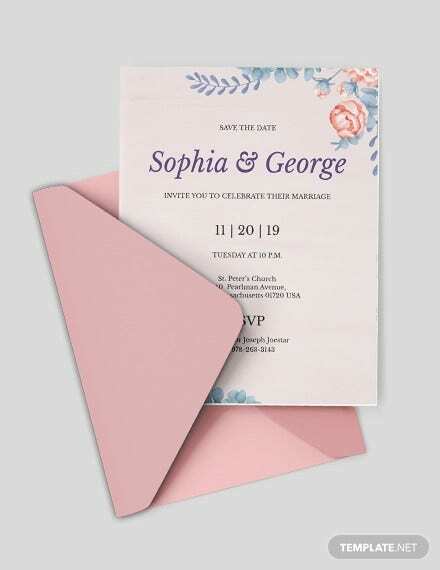 This is one template which combines class with finesse on adding multiple color selections and a print ready interface. Custom posts are up for grabs whereas the scalable layout packs a killer punch. 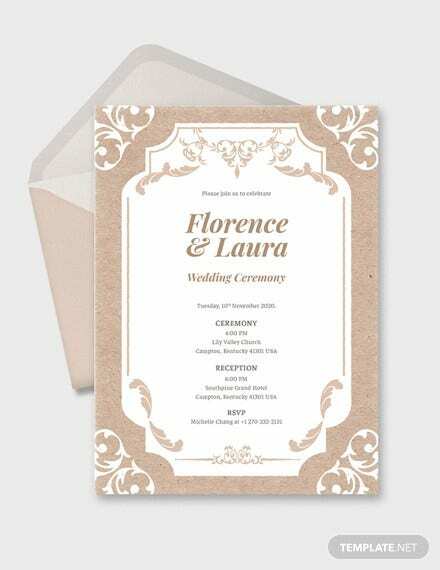 You may also see Traditional Wedding Invitation Templates. Multiple dimensions and the classic gold based interface make this template more credible. Other specifications include a print ready layout whereas extra pages and images can also be added with ease. 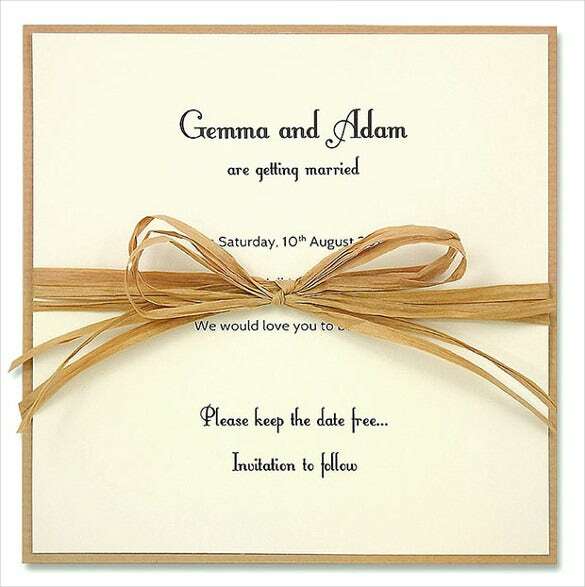 You may also check here Photo Wedding Invitations. This template has in store some of the most alluring features in stock photos and multiple color schemes. 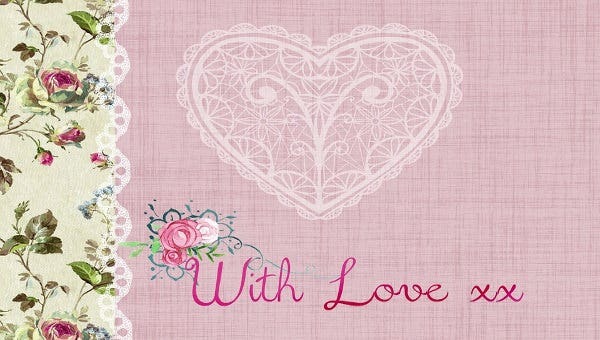 Changeable backgrounds also come in handy for both personal and professional use. 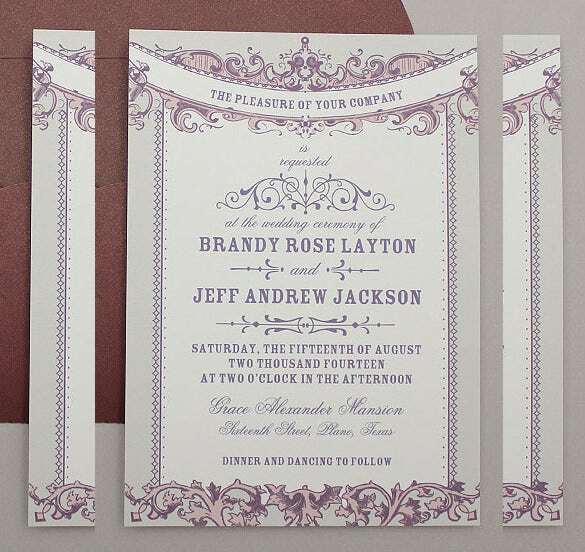 You may also see Examples of Wedding Invitations. 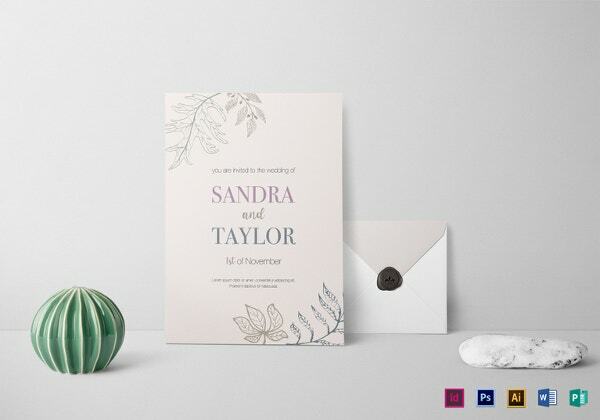 Gorgeous designs and exciting color combinations make this template an instant hit. 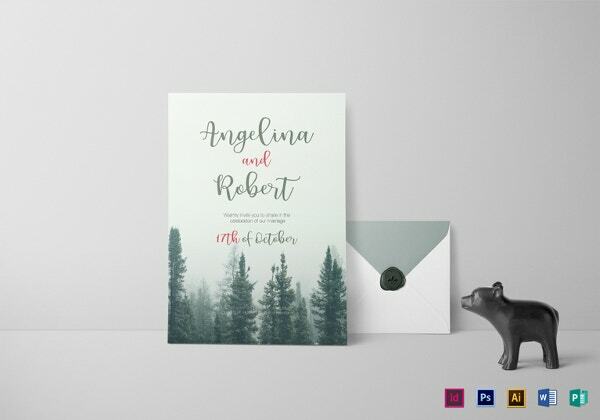 Other specs include a scalable layout besides the editable text based support and CMYK compatibility for the professionals to make use of. 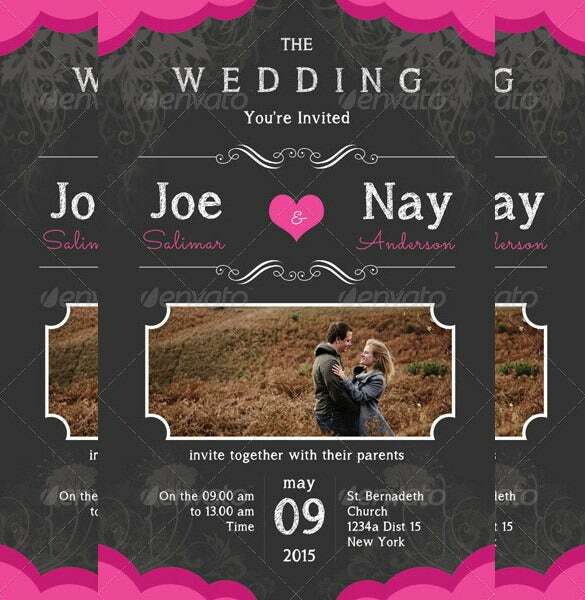 You may also check out here Wedding Invitations in PSD. 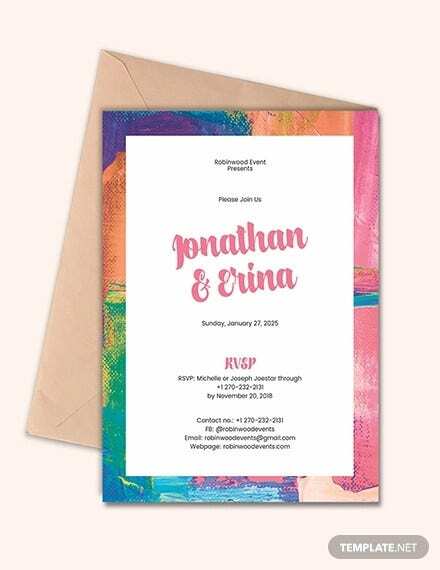 Include this template for getting that classy and professional outlook featuring exquisite color schemes. Printable layout surely packs a punch whereas the extended gallery comes across with captivating stock photos. 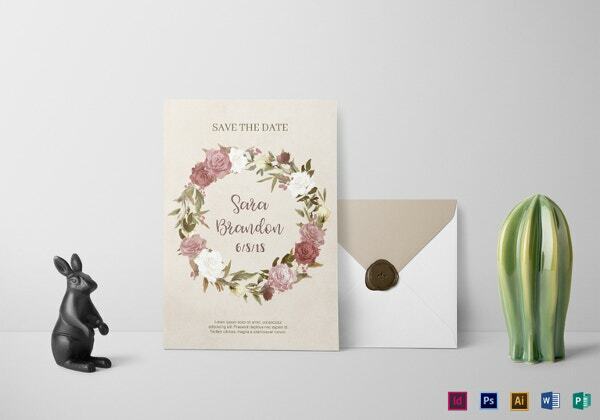 You may also see Wedding Invitations in PSD. This template includes layered PSDs in addition to the organized file storage facilities. CMYK color compatibility renders additional support whereas the featured font sets come in handy for the professionals. 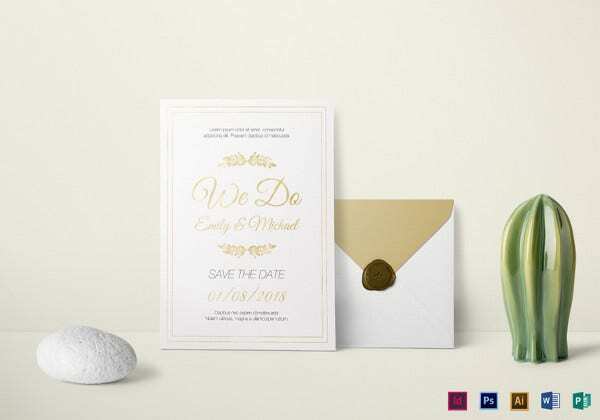 You may also see Modern Wedding Invitations. 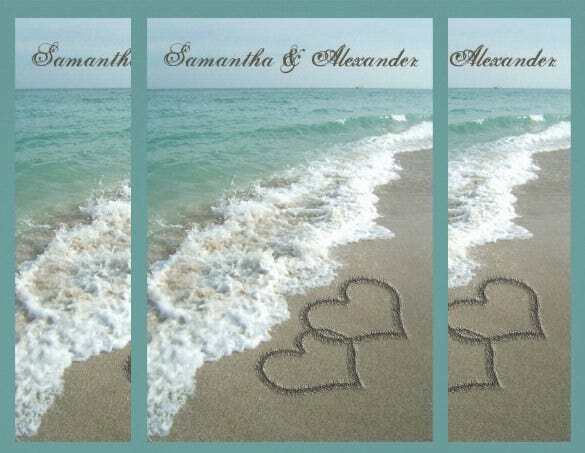 This template supports heart shaped images and stock photos which can be selectively paired with custom colors. The print ready interface can be combined with the configurable layout thus reaping rich dividends. 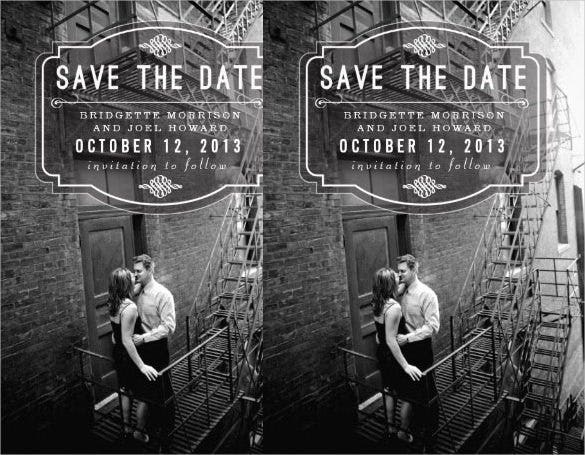 You may also see Creative Destination Wedding Invitations. 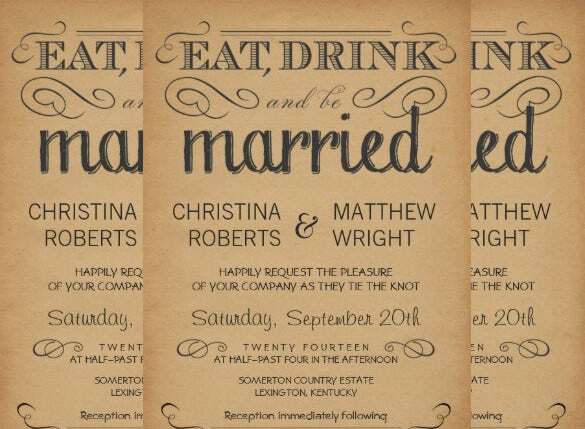 This template provides that vintage look which surely packs a punch with the customizable interface in picture. 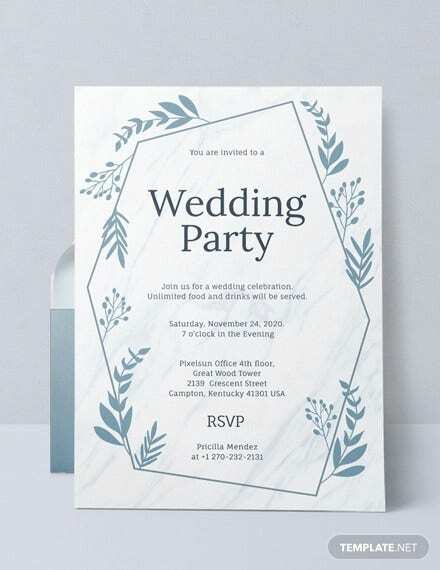 Print ready interface adds to the resourcefulness whereas the simplistic color schemes provide the needed support. 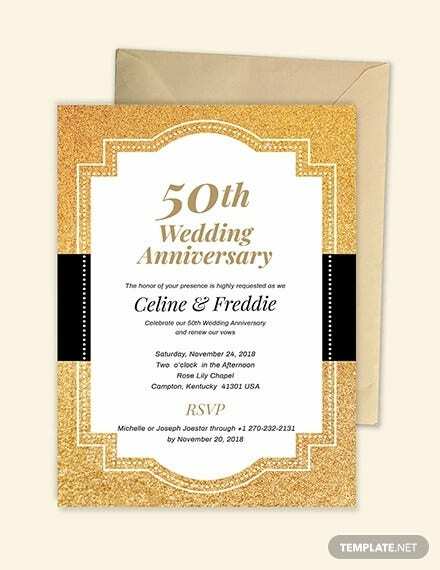 You may also see Wedding Invitations Templates in PDF. Both front and rear viewing options are provided besides the print ready interface. This template showcases circle cards in addition to the customizable layout and several ink based color combinations. 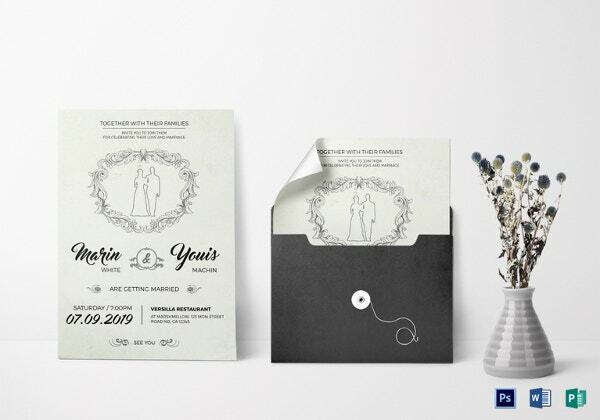 You may also see Funny Wedding Invitations. 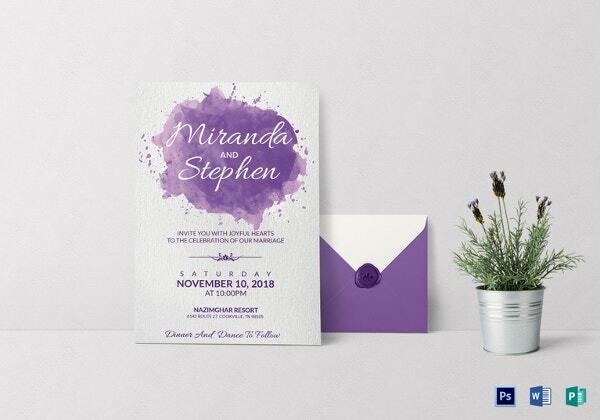 This template features a simplistic design which can be well complemented with the effective color combinations. Downloadable options are also up for grabs whereas the print ready interface packs a punch. 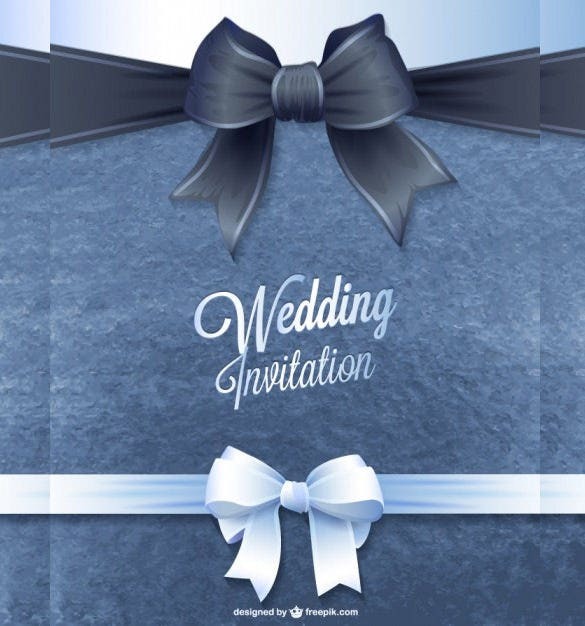 You may also see Wedding Invitation Design. Professionals can change the Bleed margins whereas the fully layered PSD layers provide the needed support. 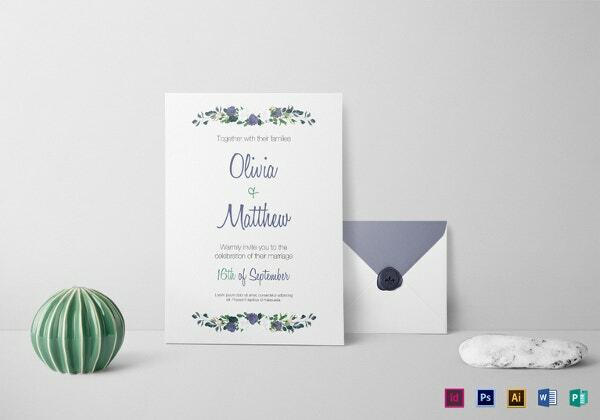 Color combinations can be easily selected whereas the print ready interface comes in handy. 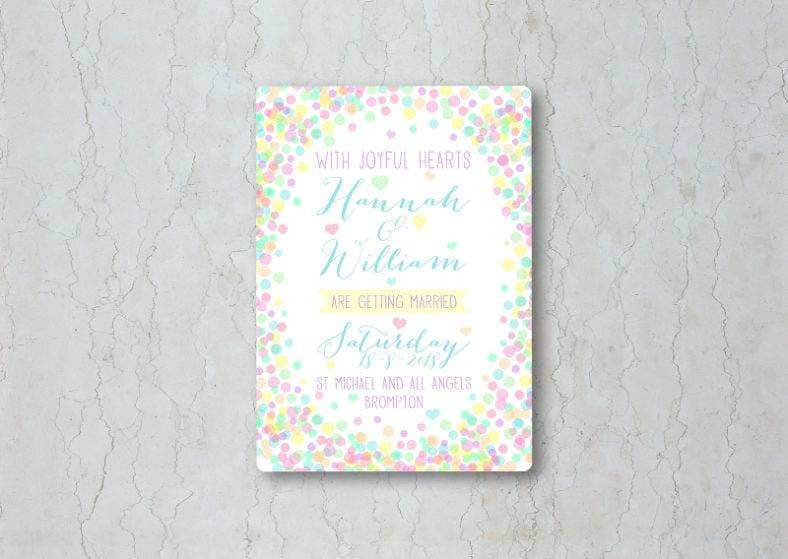 You may also see Watercolor Wedding Invitations. This template allows the professionals to scale the pages according to their preferences besides complimenting them with effective color combinations. The print ready interface also comes in handy besides editable texts. 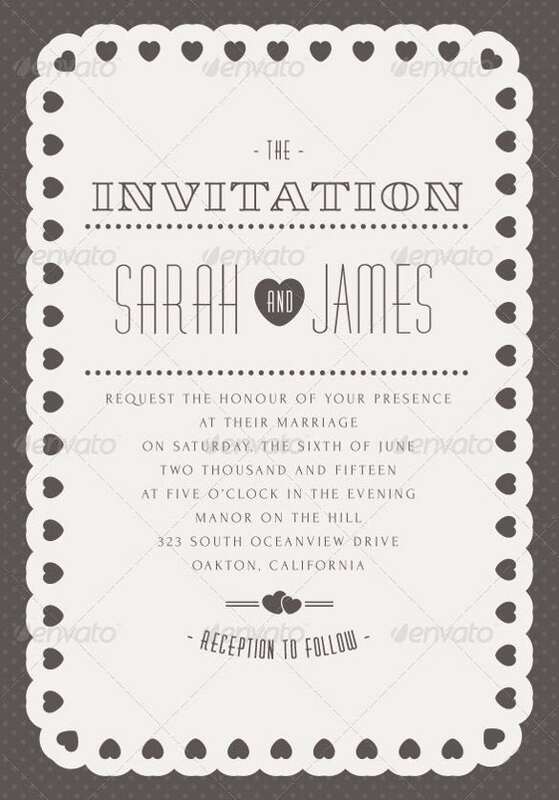 You may also check out here Printable Vintage Wedding Invitations. 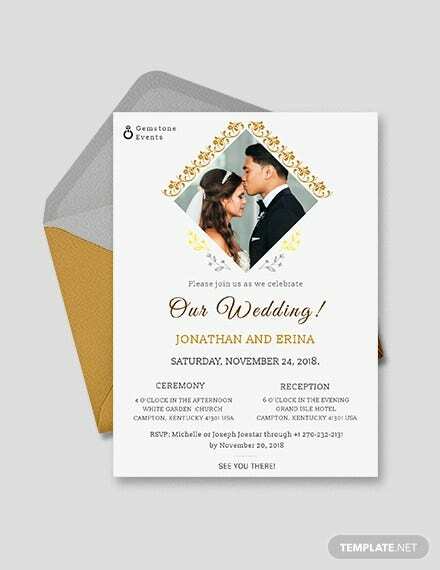 With an elegant layout and vibrant color schemes, this elegant wedding invitation template provides the needed support to the professionals. The Print ready interface comes in handy whereas the customizable layout surely packs a punch. 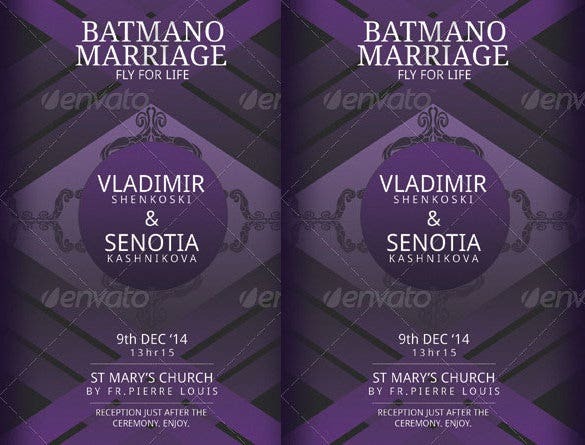 This template is meant for the superheroes and includes a potent yet editable interface. 5 Colors are available whereas the ready to print layout renders additional support besides the PSD files. 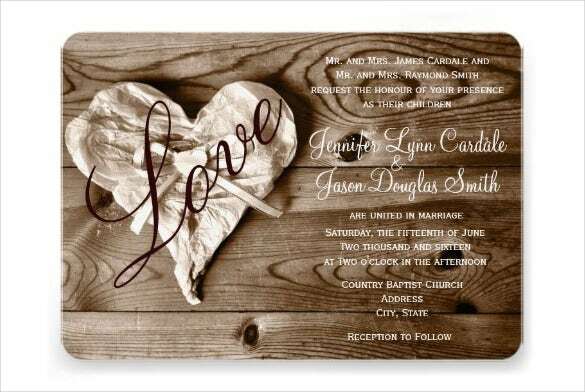 You may also see Romantic Wedding Invitations. 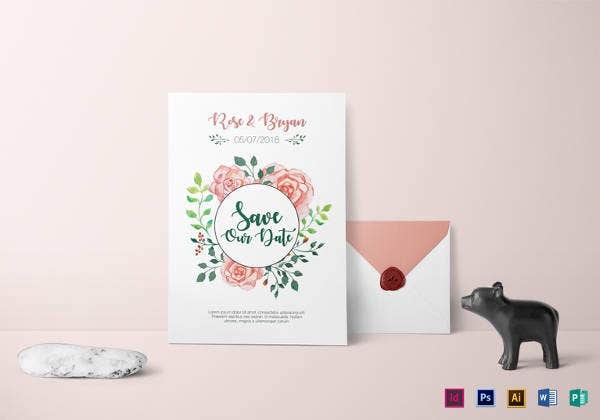 Add varied bleed margins with this resourceful template which also focuses on the color combinations and textual support. Altering the font sets is also an option besides the print ready layout rendering added support. 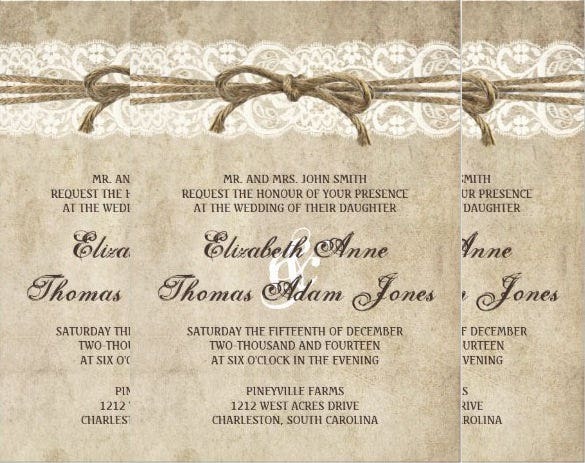 You may also see Burlap Wedding Invitations. 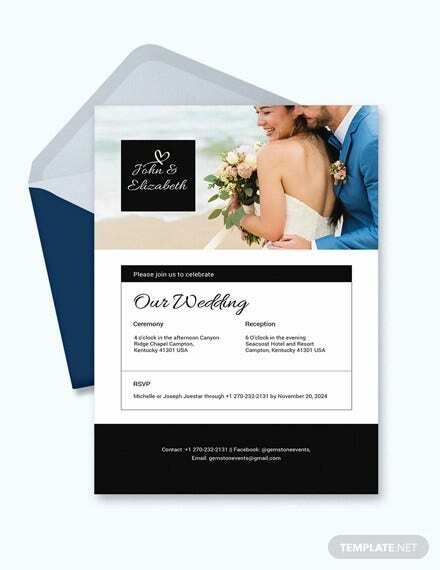 Downloadable options are available with this template besides the print ready interface. Make use of this captivating option with multiple page viewing schemes and varied color selections for the designers to make use of. 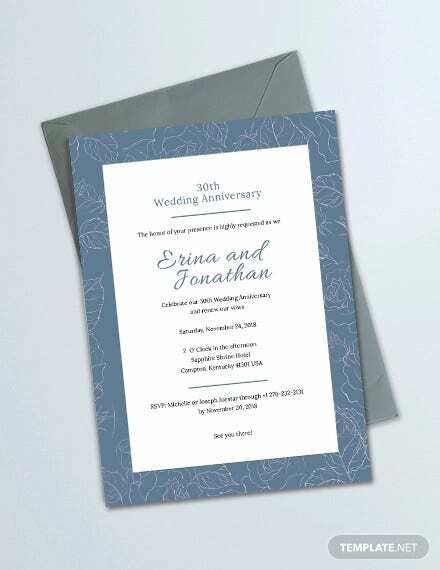 You may also see Wedding Anniversary Invitations.